The increase in global population and rapid change in human diets are putting enormous pressure on agricultural production, which already has a limited expansion capacity. 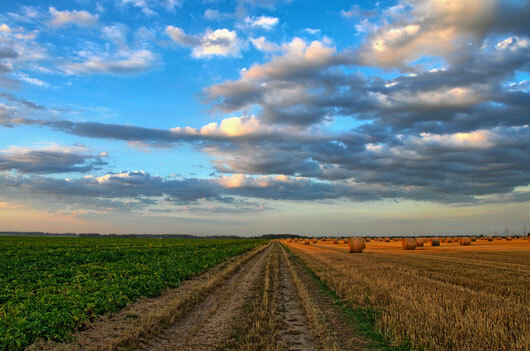 Although there is some room for improvement through the adoption of healthier, sustainable diets and reduction of food waste, future agricultural production is challenged to find solutions towards Sustainable Intensificaton (SI). This can be defined as the intensification of agricultural productivity with concomitant conservation, or even restoration, of natural and nearnatural ecosystems under future climatic conditions, based on a sustainable business model. Assessing the role of SI in sustainable development first requires an understanding of the main underlying dynamics and drivers that both impact on and are affected by SI at various temporal and spatial scales. In 2015, the United Nations (UN) adopted the 2030 Agenda for Sustainable Development, which includes 17 Sustainable Development Goals (SDGs) to guide policy towards sustainability in the next 15 years. How can SI contribute to achieving the SDGs? In this regard, the following questions need to be addressed: (a) How can the inclusion of both social and ecological aspects foster implementation of SI? (b) Where should SI be preferentially implemented? (c) What are the social, economic and ecological opportunities and constraints of SI? (d) How can the success of SI implementation be measured? Image source: nature-213364, © wobogre via pixabay. Access via creative commons. To tackle SI research and implementation challenges, the currently prevailing socio-economic and natural science perspective needs to be broadened to include the social sciences and humanities in answering the following questions: (i) Which technical, management and social innovations are required to help meet increasing food demand without further environmental costs or degradation? (ii) Which opportunities does SI offer to reconcile demands for food quantity with food quality? (iii) What are the sustainability trade-offs and socio-ecological resilience implications of SI approaches in different landscapes and social settings? (iv) What are the incentives, benefits and barriers in the adoption of SI by farmers and support of SI by policy-makers? (v) What are the educational requirements for SI implementation, particularly in developing countries, and how can practitioners be involved in developing “ownership” for the concept of SI? (vi) How can SI be integrated into broader efforts to increase food security? (vii) How can consumers be encouraged to change to healthier diets and consumption of sustainably produced food? The anticipated benefits of SI, i.e., increasing agricultural production while reducing environmental impacts, are assumed to be global. However, both the effect on productivity and the environmental and social benefits of SI are farm- or site-, region- and landscape-specific. The productivity increase may be high where poor soil conditions can be improved by agricultural measures, but much lower elsewhere. In addition, ecosystem services (ES), such as provision of clean drinking water, soil carbon storage, stormwater retention, and sociocultural services, depend on site-specific conditions and require site-specific conservation measures. Therefore, minimizing ES loss is of far greater importance in areas with high vulnerability to land-use and climate change. The locational response to SI measures calls for region- or even site-specific approaches. A broader concept of SI may need to incorporate a decrease in productivity in certain sites, landscapes or regions sensitive to specific land uses (e.g., in terms of local biodiversity) together with an increase in productivity in other areas more resilient to land-use change effects in terms of environmental quality. While the development of a range of agro-ecological and technological solutions for SI is important, their implementation will probably only occur within an appropriate regulatory framework. Negative externalities of agricultural production, e.g., nitrogen leaching and GHG emissions, need to be regulated by legally binding thresholds, internalized for example through taxes or other incentives. This will have two effects: it will send a price signal to consumers, encouraging them to choose more environmentally friendly food products, most likely causing a shift from livestock-based products more towards fruit and vegetables and locally produced food. Good estimates of ‘true pricing’ based on societal costs of production methods need to be made available. Such efforts are already underway, e.g., for nitrogen pollution, but the uncertainty range is still large and needs to be strongly reduced before societal costs can be allocated to individual products. Even more importantly, effective regulation will send a clear signal to primary producers and processers to invest in new technologies and management options that minimize environmental impacts. However, this requires an integrated approach in order to prevent pollution swapping and other trade-offs, as well as enhancing synergies. Implementing SI on a global scale will require a range of approaches tailored to site-, landscape- and region-specific conditions. Therefore, the use of highly aggregated, global indicators to measure its success is predestined to fail. In order to meet SI goals without going through a tedious phase of trial and error, those ultimately responsible for their implementation at the local scale, i.e. farmers and regional extension services, will require extensive support in the form of essential information. Providing guidance for and information on SI implementation and verification will therefore necessitate a radically different approach. This new approach should be based on: (i) globally available, spatio-temporally highly resolved and standardized measurements of basic environmental parameters (including soil quality, all agricultural activities and their environmental consequences), using both satellite and ground-based observation networks; (ii) local, regional and global socio-economic indicators (such as factor productivity, rural development, food security, cultural aspects, livelihood development, diet and consumption patterns); and (iii) a set of integral key performance indicators that both characterize the system and can be used to directly steer improvements. A multi-disciplinary knowledge network could convert this stream of data into region-specific management options to be implemented by individual farmers and extensions services. At the same time, specific socio-ecological indicators need to be developed, which allow verification of the success of SI at the local, regional and global level and its contribution to achieving the SDGs. This approach differs from classical verification in that it combines implementation support with verification at all spatial levels. The establishment of this global, but at the same time site- and region-specific, implementation and verification system for SI poses a massive transdisciplinary research challenge. Knowledge exchange across disciplines and between science and stakeholders needs to be improved, in order to change attitudes towards the adoption of socio-ecological solutions. This calls for the development of a multi-actor community that can maintain and further improve socio-ecological solutions for farming systems. Delzeit, R., Lewandowski, I., Arslan, A., Cadisch, G., Erisman, J.W., Ewert R., Klein, A.M., von Haaren, C., Lotze-Campen, H., Mauser, W., Plieninger, T., Ratjen, A., Tekken, V., Wolters, V., & Brüggemann, N. (forthcoming). How the sustainable intensification of agriculture can contribute to the Sustainable Development Goals. The need for specific socio-ecological solutions at all spatial levels. Erisman, J.W., van Eekeren, N., de Wit, J., Koopmans, C., Cuijpers, W., Oerlemans, N., & Koks, B.J. (2016). Agriculture and biodiversity: a better balance benefits both. AIMS Agriculture and Food, 1(2): 157-174.